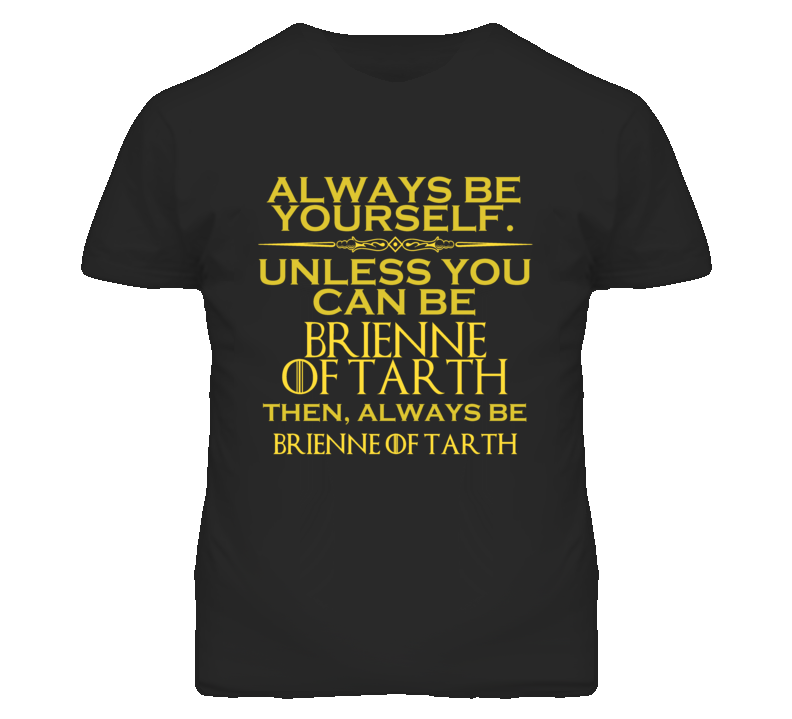 Buy your high quality Always Be Yourself Unless You Can Be Brienne of Tarth Funny Parody T Shirt today! Our 100% soft ringspun cotton t shirts are sturdy but soft and SO comfortable! We use the latest in direct-to-garment printing. Your image will not crack or peel - it's on there for good! 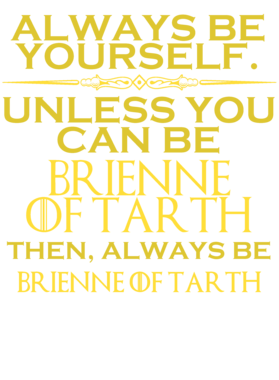 This would be AWESOME on a baby one-piece! Change the color to WHITE and then choose Baby One Piece from the top drop down. LISTEN! We love that we can offer you lots of color choices. BUT! If the image is made of dark colors, it WILL NOT show up on a dark shirt, even if your screen might make it look like it does. Very LIGHT colors are hard to see on the light shirts. PLEASE choose a color that is SURE to work with the image.